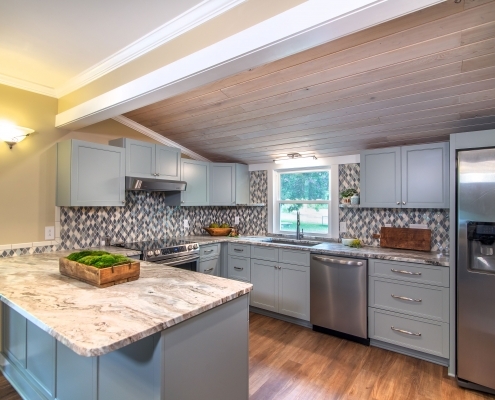 It is our desire to provide our clients with the best possible experience during their renovation project whether that be a new build or a remodel. We understand that it can be a little overwhelming to take on any project especially the task of trying to stay on budget. Cabico offers three different lines ranging from semi-custom to fully custom. The Cabico Essence line is a frameless cabinet at an aggressive price point. The Cabico Unique line is made to order custom and is very on-trend with color, finishes, and door styles. This line is priced value mindedly. Both the Cabico Essence and Cabico Unique lines carry a 7-9 week lead time. 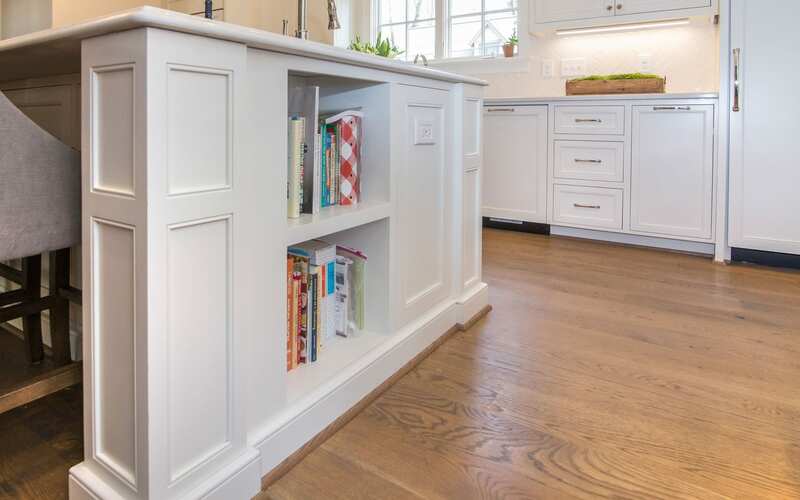 The third line, Cabico Elmwood is a luxury grade of fully custom cabinetry. 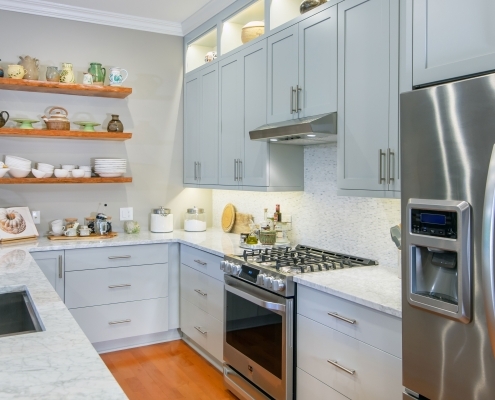 Cabico Elmwood gives us another resource for furniture grade, fully custom cabinetry. Cabico offers an abundance of colors, finishes, and door styles. No matter how big or small your project, you can count on Cabico Cabinets to bring it to life just as you pictured it with a blend of creativity, technology and fine craftsmanship. Greenbrook Design is proud to be an authorized dealer of Cabico Cabinets. We invite you to visit our showroom located in Shelby, NC and take a tour of our kitchen displays. Feel free to browse the gallery below to see some of the jobs we have recently done using cabinets by Cabico.